practice in 1969. As a general dentist, he enjoys treating the whole family, from children to seniors. Dr. Carpenter feels he can provide quality dental care to his patients along with providing a practice that is expanded to Implant dentistry, Endodontics, Orthodontics and Periodontics. Patients can remain on site for all their specialty care, something they would probably not get in a small dental clinic. He gets a lot of satisfaction from his work, knowing that he has helped improve his patients' dental heath and helped them avoid serious dental problems. great grandchildren. Over the years Dr. Carpenter and Arlene have enjoyed attending many of the special events in the Seattle area and have loved being involved in their family’s extra curricular activities and sports. They enjoy plays, theatre, symphonies and are big fans of UW football. They've traveled to interesting places within the U.S., Europe, Russia and Australia. Dr. Carpenter also has a great love for golf and will share his many experiences with his patients. 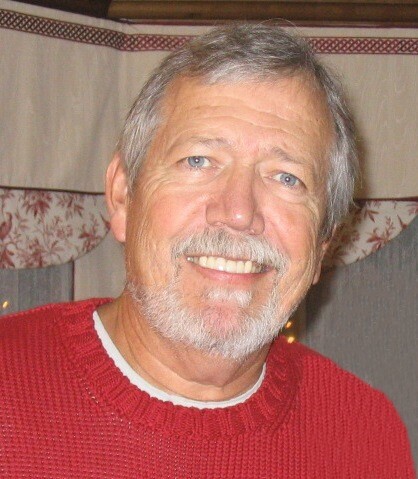 Dr. Carpenter graduated from Carroll College in Helena, Montana with a Bachelor’s Degree in 1963. He then attended and graduated from the prestigious University of Washington School of Dentistry in 1967. He later taught at UW School of Dentistry in the Restorative department. Dr. Carpenter received additional training in the U.S. Army where he also served as a dentist from 1967 – 1969 active duty. Dr. Carpenter continued his service to our county in the U.S. Army reserve from 1969 – 1993, retiring as a Colonel. During 1991 his unit, Madigan General Hospital, was mobilized for Operation Desert Storm. Dr. Carpenter feels it is important to continue to learn the latest techniques in dentistry. He has taken several advanced training courses in implants to provide top of the line implant placement and restoration techniques to our patients. 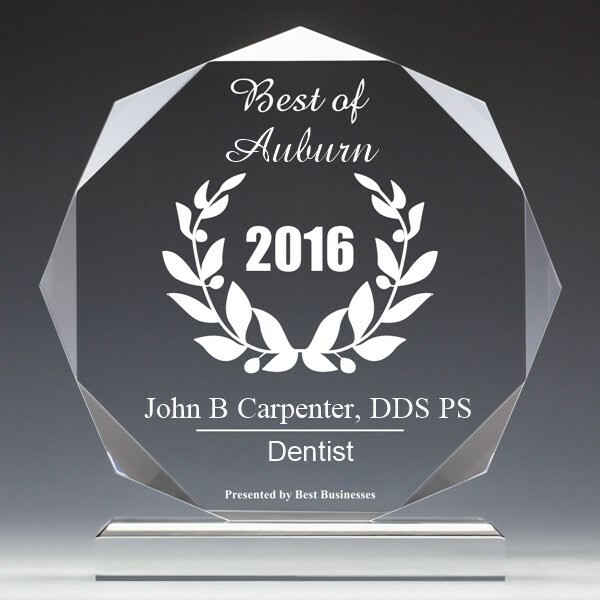 Since 2007 Dr. Carpenter has been working with the Auburn School district nurses to provide emergency dental treatment for children who do not have dental coverage or a dental home. The Adopt-a-School program is an extension of the Washington State Dental Association and the Washington Oral Health Foundation. Dr. Carpenter is the network coordinator for the Adopt-a-School program in the Auburn area; he has recruited 10 dentists to help provide emergency care for students. His staff also assists the WOHF by going to the elementary schools and giving oral health presentations to students. Working with the network dentist and the WOHF Dr. Carpenter helps kids get out of pain and back to learning. In addition to his work with the Adopt-a-School program, since 2009 during the month of February Dr. Carpenter opens up his dental clinic for one day to low-income children and provides free dental care. The children receive exams, cleanings, x-rays and fluoride treatment along with education and instructions on oral health. Annually the American Dental Association sponsors a program called Give Kids A Smile and it is now the centerpiece to the National Children’s Dental Health Month. This program is observed every year in the month of February and focuses on providing oral health education to all children despite their economic status. Dr. Carpenter sees the problem of tooth decay and oral health every day and while he regularly donates services to low-income families, on Give Kids a Smile Day he focuses on the children that critically need the services. Most of the children have either never been to the dentist or had not been in quite some time. Dr. Carpenter feels strongly about helping his patients achieve optimum oral health and improve their smiles. He wants his patients to fully understand their dental conditions so they can make a well informed decision on treatment. Dr. Carpenter is happy to explain the treatment options and answer any questions you may have.